www.chuckdixon.net: LEVON CADE returns February 22, 2016! LEVON CADE returns February 22, 2016! 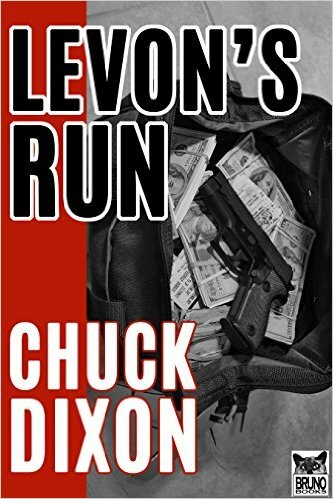 "Chuck is a damn good writer who is really good at hooking you, giving you fun characters, and telling you one HELL of an adventure story." The FBI, ATF, Homeland Security, and police from seven states are on the trail of Levon Cade and his daughter, Merry. The latest volume in the popular Levon Cade series -- available on Kindle February 22, 2016 -- PREORDER NOW!